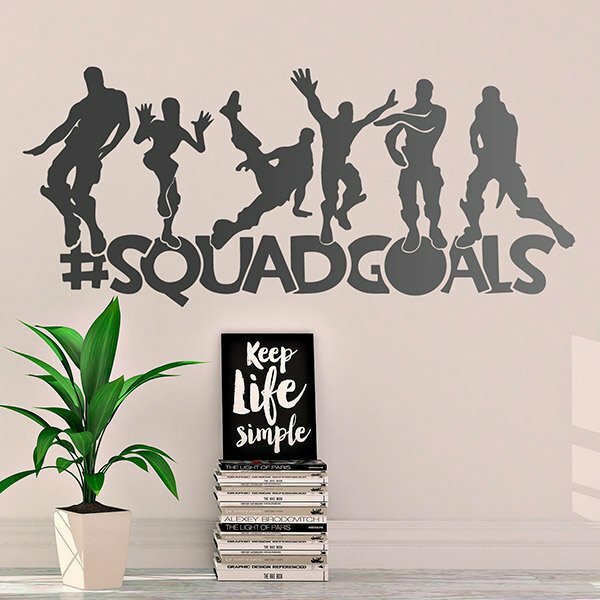 Wall sticker Fortnite Squadgoals. 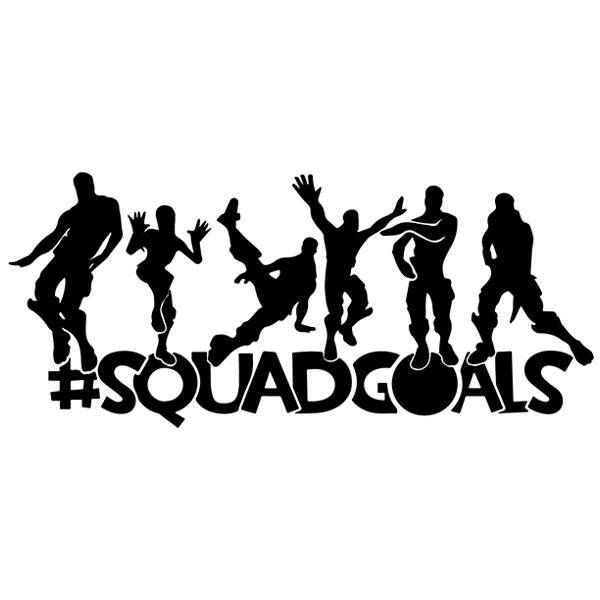 Silhouettes of various characters from the acclaimed video game, in celebration mode with the dances they perform. Each character is making a specific movement, referring to the achievement achieved. The video game has a cartoon aesthetic and was created by Epic Games. Size: 56 x 11 cm. 50 x 21 cm. 60 x 26 cm. 70 x 30 cm. 80 x 34 cm. 90 x 39 cm. 100 x 43 cm. 110 x 48 cm. 120 x 52 cm. 130 x 56 cm. 140 x 61 cm. 150 x 65 cm. 160 x 70 cm. 170 x 74 cm. 180 x 78 cm. 190 x 82 cm. 200 x 87 cm. 210 x 91 cm. 220 x 95 cm. 230 x 100 cm. 240 x 104 cm.